What is the solution for change order price? On my system I have a specials product with 0 price which in samba is set as 'Open Priced' on product tag and an order added rule with a [?Price] prompt to set price on order added. QMX just adds this product with price of 1. I cannot recall why a 0-priced Order is overridden with 1, so I will take a look - there must have been a reason. I can't believe I just said that. Somebody slap me. Of course anything is possible. But in this case, it would require very specific custom code. QMX I cannot recall why a 0-priced Order is overridden with a price of 1, so I will take a look - there must have been a reason. QMX is not doing this. The reason is that GraphQL mutation addOrderToTerminalTicket is returning a price of 1 rather than a price of 0 ... this is out of my control unfortunately. Let me think about this one for a little bit - I have an idea to fix this problem (bug) with the mutation. I have an idea to fix this problem (bug) with the mutation. EDIT: not quite, something is overriding the price on the new order when the Ticket is Closed (Submitted)... still looking in to that. EDIT2: got it beat, done. I can also automate the Prompt for Price input for 0-priced Products, but it will require a specific Automation Command to be configured in SambaPOS (ie. like QMX Price Prompt ). 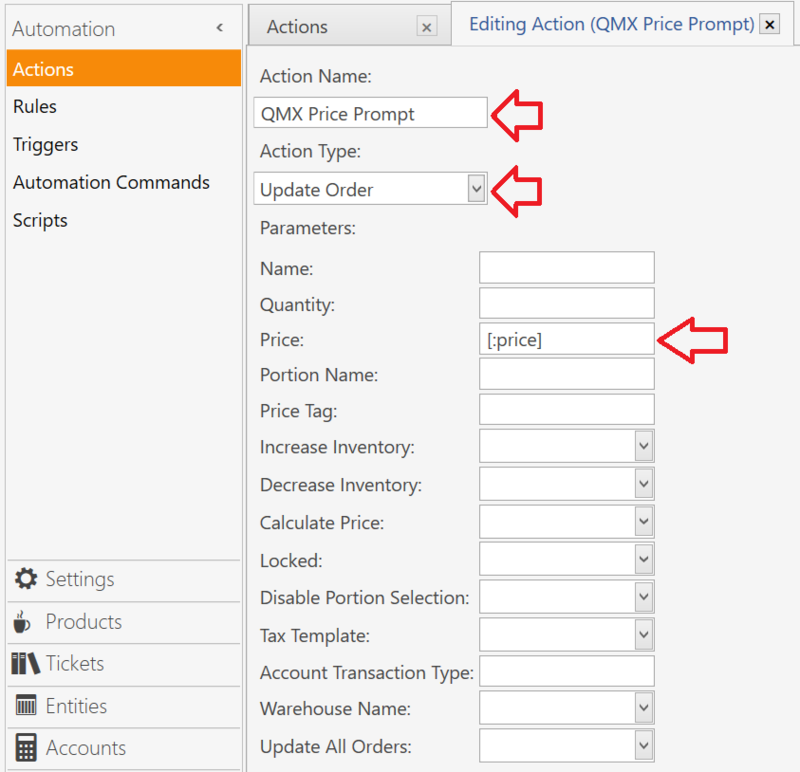 EDIT3: automation is in place for system properly configured with QMX Price Prompt Automation Command. The "QMX" prefix is mandatory; in fact the exact Name of QMX Price Prompt is required. 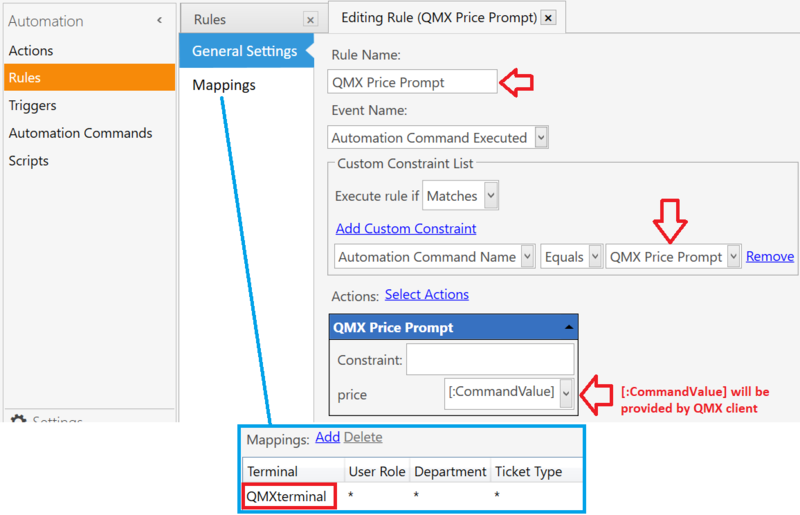 Set the Mapping to QMXterminal and Order Line so that it is only available to QMX clients when updating an Order. NOTE: the QMX prefix is not required here.